I've been a fan of Maestro Classics since our first review product of Peter and the Wolf. We recently reviewed 2 more of their stories set to music. We enjoyed My Name is Handel: The Story of Water Music and The Sorcerer's Apprentice. We received the CD version of these stories but they are also available in MP3 download formats. 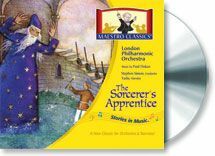 On this CD, you will listen to the timeless tale of The Sorcerer's Apprentice made famous by Disney. It's the tale of a lazy apprentice who gets into a bit of trouble when he tries to use his master's spell instead of doing his chores himself. Included on the CD is the narrated version as well as the original version with no narration. The CD has 7 tracks and a playing time of 41 minutes and 24 seconds. In this video, you can see us having a blast with a little Kitchen Percussion. You can listen to a sample of each track here. Included with the purchase of the CD is a 24 page booklet that contains historical and timeline facts of the story, the poem, and the music, sheet music, a biography of the composer, apprentice game, crossword, dot to dot, and lots more. 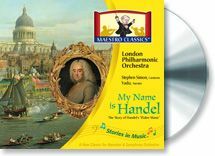 On this CD, you will follow the story of the Baroque Period composer, George Frideric Handel, while listening to some of his famous compositions. You will hear about his story and journey through his life to find out how he became one of England's greatest composers although he was born in Germany. It is a wonderful story of his intellect, courage, creativity, and The Story of Water Music. Terms like overtures, oratorio, sonata, suite, concerto, concerto grosso and so many more will be explained as well as samples played to help solidify what you've learned. This CD has 6 tracks with a total playing time of 48 minutes and 45 seconds. You can hear samples of each track here. Also included with the CD is a 24 page booklet containing sheet music, important churches in London, the orchestra in Handel's time, the history of the harpsichord and organ, and lots more. The website also has so much to offer to enhance the CD. They have Educational Materials which include Homeschool Music Curriculum Guides turning each CD into a complete Unit Study including Geography, History, Science, Language Arts, Math, Art, and Music. These guides are available for free and such a wonderful addition to your stories in music. Under the Education Materials tab, you will also find sheet music, home projects, lapbooks and more for each CD. 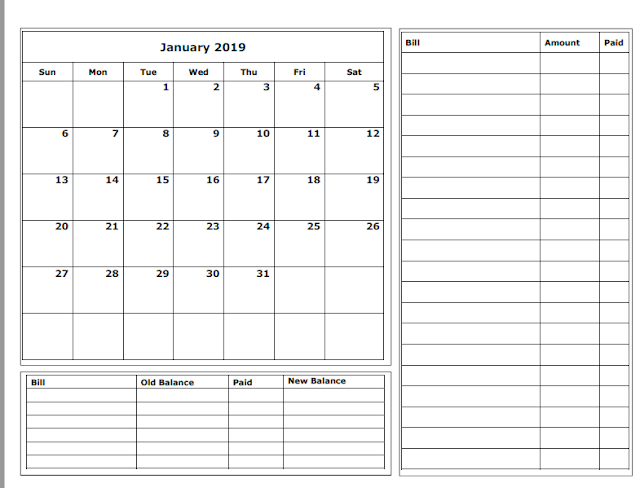 We listened to about 15 minutes each day and added in a few of the activities listed in the Homeschool Music Curriculum Guides. As a child, I never listened to any classical music or studied any composers at all. It's fun to listen and study about these composers and see just how much they have influenced theater and TV today and realize that I was listening to famous works and I didn't even know it! One of our favorite ways to listen to the CD is with lights off and eyes closed. We try to imagine our own stories as we listen. Another favorite way for us to listen is to draw while listening. We think these CD's are well worth their cost especially for families trying to incorporate classical music into their curriculum. It's great for parents who have no background in classical music studies as well. The style is presented simply and easy to understand. I learned so much! Click the banner below to read reviews on other CD's available! Weekly Wrap - Only 1 Week of Regular School Left! 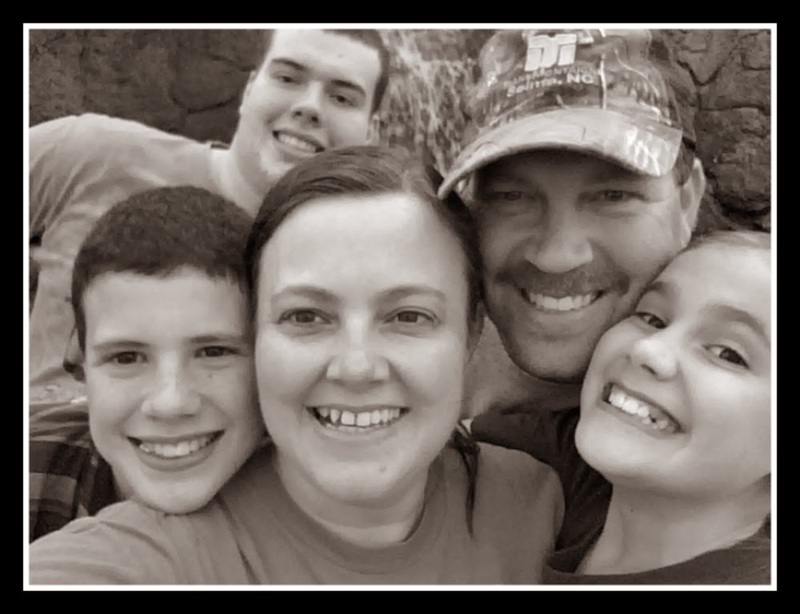 Weekly Wrap-Up - The One Where Life is Changing!